Y seguimos con Coldplay, por qué no? 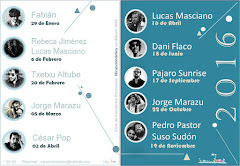 Podría poner tantas canciones buenas de ellos... Hoy una mítica. Su primer gran triunfo, su obra maestra? puede que sí! Desde luego es una auténtica maravilla de canción!! y eso que el amarillo nunca ha sido mi color. 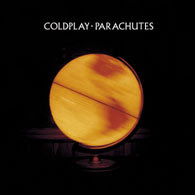 Desde su primer álbum (Parachutes) Yellow. Artista: Coldplay (igual que ayer). Look at the stars, look how it shines for you oh and everything you do. Yeah, they were all yellow. I came along, I wrote a song for you and all the things you do, and it was called yellow. So then I took my turn oh, what a thing to have done and it was all yellow. Your skin, oh yeah, your skin and bones turn into something beautiful, and you know, you know I love you so, you know I love you so. I swam across, I jumped across for you oh, what a thing to do. 'Cos you were all yellow, I drew a line, I drew a line for you. Oh, what a thing to do and it was all yellow. And your skin, oh yeah, your skin and bones turn into something beautiful. And you know for you I bleed myself dry, for you I bleed myself dry. It's true, look how they shine for you. Look how they shine for you. Look how they shine for. Look how they shine for you. Look how they shine for you. Look how they shine. Look at the stars, look how they shine for you and all the things that you do. Llegue, y escribí una canción para ti y todo lo que tú haces y fue llamada amarillo. oHoO! Me encanta ste tema.. k maravillosa cancion...!! Pues sí, todo un señor temazo y de los buenos de Coldplay, que por cierto muy muy pronto volveré a escuchar en directo!! Qué ganas! La verdad es que es un temón. Todo un himno de Coldplay! !